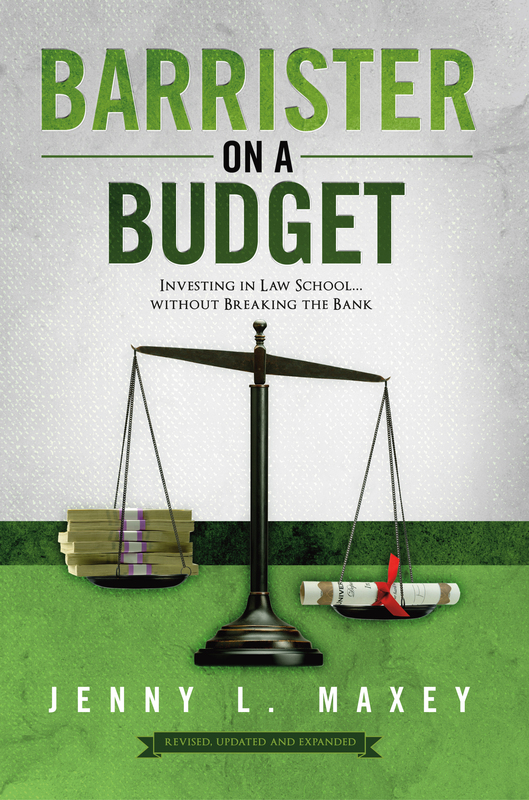 This week’s blog post comes from Jenny Maxey, author of the incredibly helpful money-saving law school guide, Barrister on a Budget: Investing in Law School…without Breaking the Bank. Okay, you have an idea of what you want to practice or, just as important, you now know what you do not want to do. Your next step is to decide if a law degree is necessary. As a threshold issue, tuition is expensive. For law schools, it is very expensive: in 2009 tuition rates averaged $18,472/year for in-state students at a public law school; $30,413/year for out-of-state students at a public school; and $35,743/year for students at private law schools. I left the now-older 2009 figures for a reason: if you compare these costs with the costs for specific law schools you’re interested in when you’re reading this book, you will see just how rapidly tuition costs have risen. Before you even think about applying to law school, it is important to consider how you will pay for it. Most students, of course, do not have this kind of money. They rely on debt. This is dangerous because, as a student, you will be signing papers (and clicking “Accept”), so it doesn’t seem like real money. But it will be, once you graduate. Be sure you understand the level of debt you will be accepting. In Chapter 4 we will discuss how to choose a law school with finances in mind, but this section will discuss whether law school is even necessary for your ideal career. Law school hones useable skills for other professions, but it is also a double-edged sword in a recession. A “JD” on your résumé might give you an advantage over other candidates, but it could make you seem overqualified or give the employer an impression that you require a salary too high above that job’s salary range. It might also be just odd enough that it’s a negative, not a positive. Ask yourself: with the same motivation that you will bring to a JD, could you have embarked on that career three years before with just a bachelor’s degree, be up for a promotion now, and thus be the one hiring for that very position? Let’s suppose, further, that in your research you find a career option that offers nontraditional legal careers, such as a non-profit in an area you find compelling. Are there other, more affordable ways you can qualify for the same position without making a significant investment in law school tuition? You know that you have always liked government, and have always wanted to be involved in some government office. You dreamed since ever you could remember of being someone important in some big office somewhere. A Government Affairs position is one of many you might consider. In your research you will find that many lobbyists at your state capitol (or in Washington, D.C.) have law degrees. But not all do. There are economists, political science majors, communications majors, you name it. Most law schools offer at least one course in legislation, and the skills taught during law school can give you an edge in deciphering statutes or understanding consequences of pending legislation. But grooming graduates for careers in government tends to be more the realm of schools of public affairs, not law schools. Those who go into government from law school tend to be focused in actual legislative drafting or specific legal area, while many others, with different backgrounds, can do that or any of many other parts of the legislative and ombudsman functions. There are, almost literally, too many options to count. Take a look at just one agency. Look at your own state, and see what positions exist there. Take a look at the backgrounds of officials, including lower-level employees. Now look at the federal counterpart. Multiply that by dozens of agencies and hundreds of offices, and you get a sense of just how vast are the governmental possibilities. An important sub-point here: Most government positions are selected according to a process in which veterans receive a preference: if two candidates are reasonably equal, the veteran gets the job. Even if they’re not reasonably equal, with a point-based preference the veteran might still get the JD-required job. Thus, from a purely practical standpoint, a three-year stint in military service might be more advantageous if you have your heart set on a specific government career. And you need not set foot on a battlefield; there are many options besides a combat role in the military. There are, in addition, generous tuition-assistance programs for veterans that will substantially reduce your costs when you do go to law or graduate school. The chief characteristic of a lobbyist is becoming extremely familiar with a particular issue, and building relationships with specific legislators and their staffers. This is not something you have much time for during law school, especially if you do not attend a law school close to a legislative body. It is thus difficult to obtain a government affairs position straight out of law school, unless you are already immersed in the legislative process. Therefore, your time might be better spent interning or clerking during a legislative session and moving up from there. Law school might be the step up, rather than the initial step in. You will build the knowledge and relationships lobbying firms look for, earn an income, and you will avoid a potentially massive student loan debt. This is just the first example of how your research can pay off, in more ways than one. Jenny L. Maxey is the author of Barrister on a Budget: Investing in Law School…without Breaking the Bank, which is available on Amazon and Barnes & Noble among other venues. Visit JennyLMaxey.com for more information. Thanks, Jenny, for your excellent career tips! I completely agree–if you can achieve your initial career goals without a law degree, there’s no need to go to law school. Save money and save time by launching your career now. Have questions or comments about whether law school is right for your career goals? I’m here to help. Post your questions below and I’ll respond. This entry was posted in Is Law School Right for You? by Peg Cheng. Bookmark the permalink.